Majors, national oil companies (NOC) and independents are all scrabbling to get a slice of Mexico’s burgeoning oil and gas industry, according to analyst Wood Mackenzie. 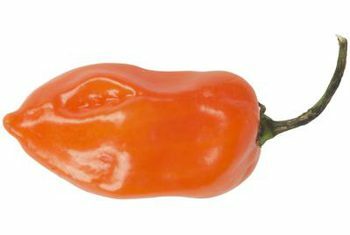 Simon Flowers, chairman and chief analyst, said Mexico is ”as hot as a habanero, the spiciest of Mexican chillies”. The country is vying alongside the top drawer of proven oil provinces for scarce investment capital, such as Brazil and Iran. Mexico’s proven reserves of 64 bn barrels of oil equivalent (boe) in fields discovered so far, is similar in scale to global giants like Norway, Brazil and the UK. In the northern part of the Gulf of Mexico, in the deepwater Sabina Rio Grande play, Pemex has already made a series of discoveries in the Perdido area. Each may hold up to 400 mn barrels of oil. Further south in the Salinas Sureste basin, US independent Talos last year found 500 mn barrels at Zama. Also in the south of the country in the Tampico Basin, explorers are attracted by structures offshore, similar physically to recent onshore discoveries, which could make for giant light oil or gas finds. “Investment in recent decades has been comparatively modest, barely scratching the surface of many plays. There may be much more oil and gas yet to be found,” said Flowers. Mexico has recognised that it needs external investment capital for its oil and gas industry to flourish. Flowers said oil exports’ contribution to Mexico’s GDP has halved from 6 percent in 2004 when production peaked at 3.8 mn bpd to just three percent today. Oil production this year will be 2.1 mn bpd and will still be in decline into the early 2020s. NOC Pemex was not in shape to turn things around on its own. The Mexican government has taken bold steps to create a favourable regulatory and fiscal environment, in bid to draw investments. The 2013 Energy Reform was a critical step, opening up Pemex’s monopoly to private investment. One measure of success is the number, quality and range of companies now active in the country’s upstream space. Wood Mackenzie suggests that domestic political stability under President Pena Nieto has also been a key factor in the progress achieved. This article was first published in CapProCon. To subscribe, click here. The Mexican oil and gas market was described “as hot a habanero”.